One of my favorite clean and fresh fragrances! I have worn Happy for half of my adult life. It is clean, fresh, and smells of citrus. It stays on the skin several hours. I've gotten compliments on it frequently. I am not a big fan of heavy, cloying, headache inducing perfumes - no matter how much older I get. This is by far the best clean scent out there - but again, it is fruity fresh, not soapy fresh. Happy in Bloom is a great alternative. I highly recommend this fragrance for all ages. Something always seems a bit off. For citrus, I find that Elizabeth Arden Green Tea wears much better. Also, Elizabeth Arden Sunflowers applied lightly is appealing. Clinique Happy makes my head ache and sinuses burn. This is a fun daytime fragrance. I'm thinking family gatherings, day trip or being with friends. This is a beautiful fragrance with some light citrus notes. Perfect for daytime, and for the workplace as it is a light scent, not heavy. I can't smell anything except grapefruit in this perfume -- and I hate grapefruit. It's too acidic, too sharp, and extremely unfeminine. Reminds me of scary nuns who hit little kids with rulers -- they seem "happy" to do so. This was my first purchase of perfume at a department store ever. My friend Josie had me tag along when she went to Dillards in 1996 to get her free sample kits of Clinique products.. since she already had a bottle of Happy at home she gave me her sample from the kit. It was love at first sniff! Its light and citrusy and makes you think of spring and summer. I keep a bottle at home since then, when I'm out I also repurchase. 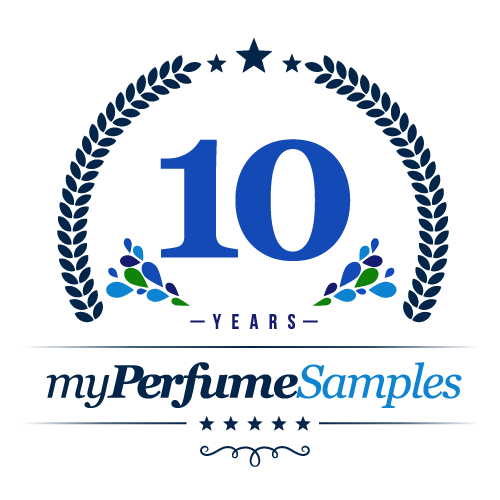 This site is wonderful for trying out new scents and even some you want to give away for your friends or family to try.. or maybe even travel with since you can get a smaller size. The Mother of all Fresh Florals? If you like fresh florals like Tory Burch or Bottega Veneta Knot, you'll probably like this ancestor as well. I owned a bottle of this once. Like most citrus fragrances, especially those having orange notes, this does promote a cheerful attitude. I liked it, but it tended to give me a headache. Therefore, I didn't repurchase. Sometimes, happiness just isn't worth the headache. Citrus always brings a smile to me, this sweet, but refreshing. No doubt it's going stay in my collection. This fragrance is still around for a reason. It smells fresh and lovely. Although it is not particularly unique, it is still a great smelling everyday fragrance for spring and summer. This was Elle Woods signature in the movie Legally Blonde. So fresh so cheerful. Happy is a soft, fresh, citrus floral that simply makes me happy. It's a safe scent that is not overbearing and last a good amount of time. I wrote a review earlier for the wrong product. So here it is on the Clinique. It was o.k. but not my favorite. Its too strong and really smells like a cheaper perfume. Reminds me of 70s perfume. But if you like strong this is for you. Happy is just as its name implies...Happy! I really want to love this fragrance, but, on me, it just doesn't work, but I still gave it high stars because I want to love it! It smells so wonderful on other people, but there is something about my skin chemistry that makes it turn sour. I do keep a small tester around so I can sniff every once in a while, but I rarely wear it. It is perfect for spring and summer months! I love this perfume. It is so soft and such a gentle scent. Not overbearing and strong. This is a nice scent, easy to wear and versatile. This was very popular in the 90s and I wore it then, because there weren't many other choices if you just wanted to smell fresh and unobtrusive. I have personally moved on from this scent - I've given it to my teenage daughter, who it's perfect for. This would be good for someone just looking for something nice for daily wear, but I have to say there are lots of other scents out there these days that fit that bill and are more interesting and sophisticated. Exactly what I have been waiting for! Love this Clinique Happy, found it in Macy's for the first time about a year ago and just got me some in the mail from My Perfume Samples! This is one of my all time favorites, it my go to for when I have a really early morning. It wakes you up and gives you an uplifting push. It has alot of fragrance notes with the orange/grapefruit shining through the most. Will definitely be getting a full size bottle of this soon! I love the clean smell of this perfume. It makes a great summertime perfume. They got the name right for this perfume. It makes me feel happy when I wear it. It has light floral and citrus notes. It smells like warm sunshine in a bottle. This has no musk, it is just a clean, clear mandarin. Be careful though if you purchase a whole bottle, because it turns very quickly and starts smelling like overripe mandarin. If you use it often though, you can go though a full bottle without it turning. Very nice citrus perfume, one of the best for citrus. A pleasant citrusy floral perfume. Nice. I wore this a lomng time ago and I decided to try it again. It seems a little more orangy than oi remember and I guess it smells more synthetic on my skom . If they would have held back on the citrus smell this would have nbeen perfect. It didn't seem to last as long as it does on my friend. I guess my skin just doesn't react well with this one. This perfume really divides opinion - between those who (like me) find it harsh, almost like lemon scented oven cleaner, and those who are exhiliarated and uplifted by its fresh citric fruitiness and clean musk. I felt the white flower notes to be a bit strong, but had a soapy dry-down, which was more appreciated. A little acrid on me, but may work for others! the first fragrance I ever got "addicted" to ... it still makes me happy. synthetic, yes. But also classic, floral and fresh. I have used Clinque Happy for about less than a year. I liked it at first and as time went on it started to get an acrid smell to it, and then I was introduced to Happy Be, and I have to say that is so much better. I can't believe I've been missing it this whole time, I'm hoping this site will get samples now! Everyone was wearing this when I was a teenager! Including myself. It probably wouldn't suit me anymore but at the time I loved it for its super fresh citrus smell. It rode high on the clean wave that swept perfumery in the 90's. I got a little 1\2 ml vial from a perfume shopp, I really liked it. Here on this site their only asking $2.00 4 a full 1ml vial. Good going my perfume samples. You beat the price of my other perfumers shopping. And common people only 3 stars? Tried many times but just couldn't acquire a taste for it. Too orange. I like this one !!! I like this one nice and fresh. I enjoy this one on my skin. Didn't like it out of the bottle, but smells fantastic on my wife's skin! I remember the first time I smelled it; I was in the elevator with a woman at work and I had to ask what she was wearing! It's heavy (yet not "weighty") on the citrus and gives that emotional boost that aromatherapists talk so much about. Proper name for a great fragrance. This perfume smells like the color orange; very fruity and a bit floral. It's lasting power is medium. but it does smell good on my sister.... try it before you buy it.